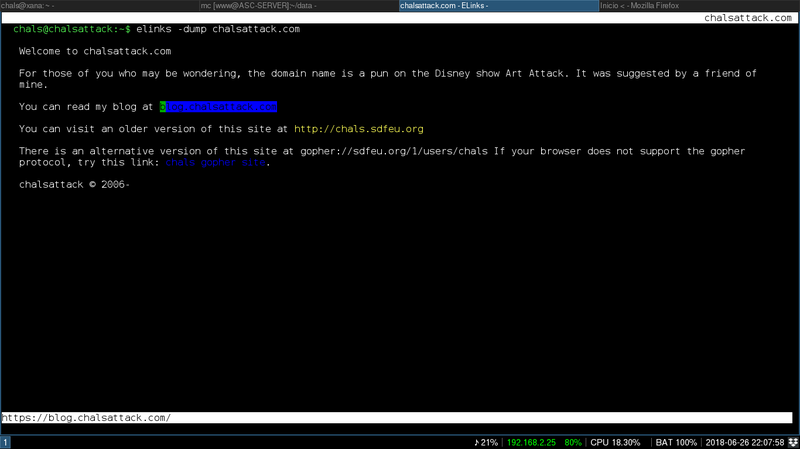 It seems we all have to use ssl in our websites from now on, therefore, I have updated chalsattack.com and blog.chalsattack.com to use https. At the same time I had to tweak the html code a little bit as well as the the css of the site. 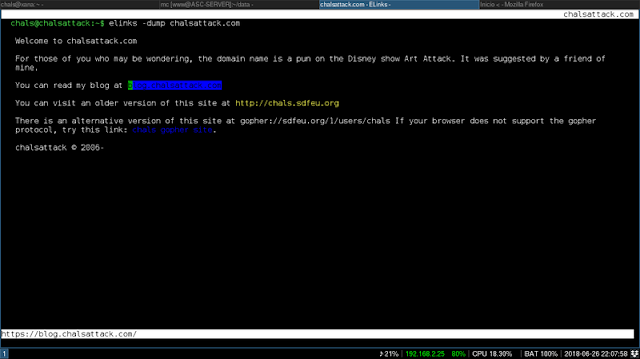 It is not a big change, but I love how it looks like in elinks.